This photo gives a feeling of the ambition & scale of this huge 1927 production directed by Fritz Lang, who is holding the megaphone on the left. Note the 4 small cameras at work. 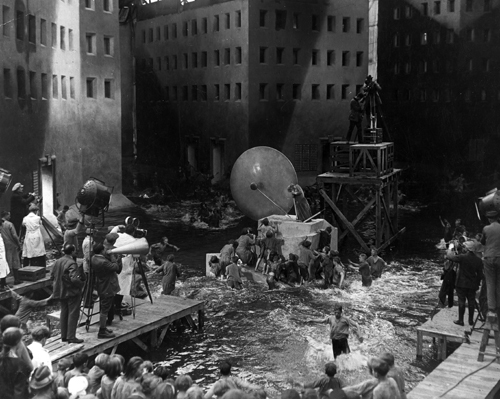 Metropolis was shot in what is now Babelsburg Studios near Berlin. In this interview, Lang states that he didn’t use more than 300 extras on the film.